I'm off to a slow start this week after enjoying a lovely long weekend. Sometime's a four day weekend is just what the doctor ordered. What's even better? A four day work week, and the same next week with Labor Day! 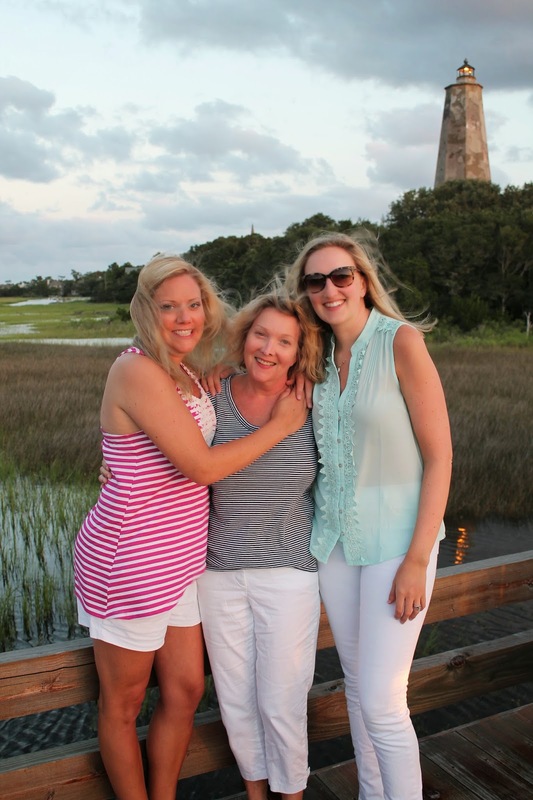 Last weekend I ventured to one of my absolute favorite places, Bald Head Island, with my best friend Honor, her mom (and my Mom's best friend), my Mom, and my sister Laura. We had such a relaxed ladies weekend with plenty of time at the pool, beach, lots of wine (and margs..and pina coladas… and more wine), great food and of course great company. I love that Bald Head is only an hour away from me, but it feels like another world once that ferry reaches the other side. One of my favorite things about BHI is NO CARS! 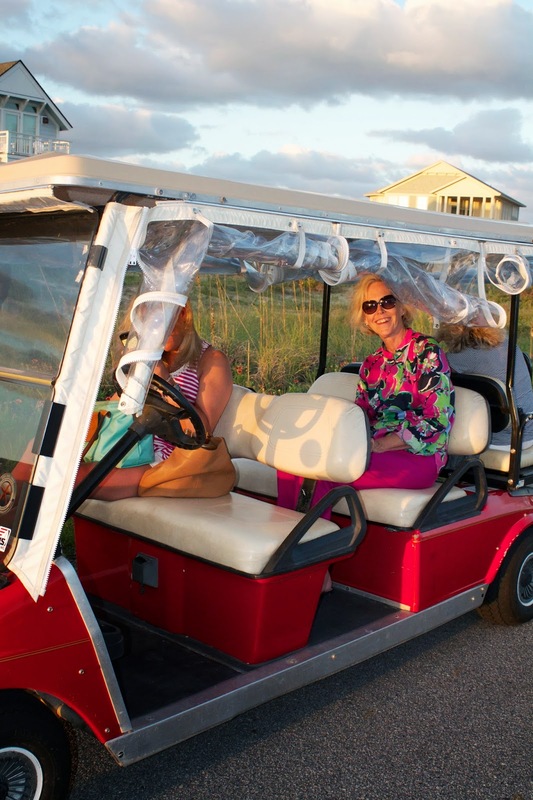 Tooling around in a golf cart is so much more interesting. When we were younger, Laura would always do Honor and I's hair and makeup and take our glamour shots, so it seems fitting that we should do the same this year. Very glamorous indeed! "It's all about the volume ladies!" Until next year my beautiful island!